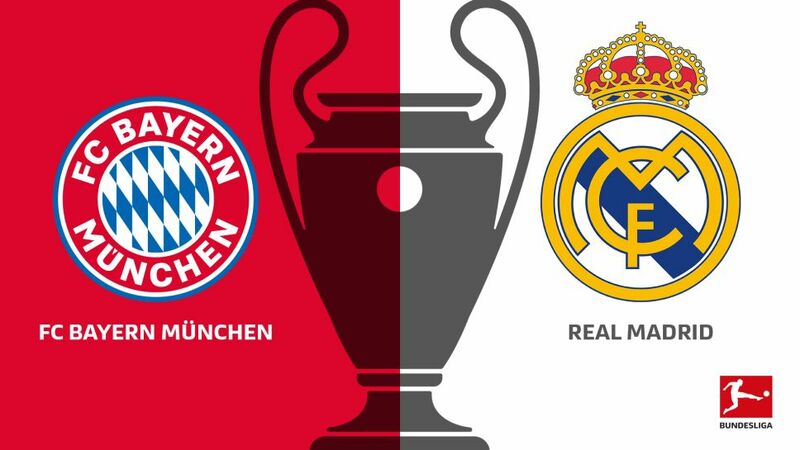 Bundesliga champions Bayern Munich will face holders Real Madrid in the semi-finals of the UEFA Champions League. Bayern - appearing in the last four for the seventh time in nine years - beat Sevilla 2-1 on aggregate in the quarters, while Real scrapped through against Serie A champions Juventus thanks to a last-gasp Cristiano Ronaldo penalty. The first leg will be played in Munich on 25 April, with the return at the Santiago Bernabeu on 1 May. The winners will face the winner of the other semi-final between Liverpool and AS Roma in the final in Kiev on 26 May. The tie is a repeat of last season's quarter-final, which Bayern lost 6-3 on aggregate after the second leg went to extra-time. Jupp Heynckes, who lifted the trophy with Real in 1998 and with 2013 treble winners Bayern, a year after finishing runners-up to English Premier League outfit Chelsea, has reached the final in all three of his previous seasons as a coach in the Champions League. Prior to the draw, Bayern sporting director Hasan Salihamidzic announced that Eintracht Frankfurt's Niko Kovac will take over from the 72-year-old tactician - coaxed out of retirement last October on an interim basis - in the summer. Joshua Kimmich (Bayern defender): "It doesn't matter who we face - we want to reach the final!" Hasan Salihamidzic (Bayern sporting director): "Real are a top side with top players, but we want to be in the final."